(Updated at 12:38 p.m.) Ward 1 Councilmember Brianne Nadeau is speaking out against an online room rental service after an apparent sting operation revealed an “illegal short-term rental hotel” in Columbia Heights. Someone was illegally listing a rent-controlled apartment in Columbia Heights on Airbnb, Nadeau said today in a press release. A recent undercover investigation conducted by several local advocacy groups revealed that the apartment was being run as an “unlicensed hotel” instead of being used to house people or families in need. The rental service added that it “collected and remitted over $12 million in tax revenue to the District of Columbia” since 2015. (Updated at 5:07 p.m.) Ward 1 Councilmember Brianne Nadeau is calling for an investigation into an incident that led to an arrest of a teen at the Columbia Heights Metro station Tuesday. A video shared by the District’s Black Lives Matter group this week shows Metro Transit Police Department officers tripping an 18-year-old in handcuffs at the station. As reported by DCist and The Washington Post, officers arrested the young woman after she refused to throw away a lollipop and a bag of chips at the Metro stop, where consuming food is prohibited. The video shows three Metro cops ordering a teen, who is handcuffed, to sit down. When she refuses, one of the officers trips her, knocking her to the ground. The young woman was arrested for unlawful entry and taken to a D.C. Police station. Police later decided not to pursue charges, a Metro spokesman told the Post. “In addition, Metro GM Wiedefeld specifically asked MTPD Chief Pavlik to initiate such a review in this case,” Stessel continued. 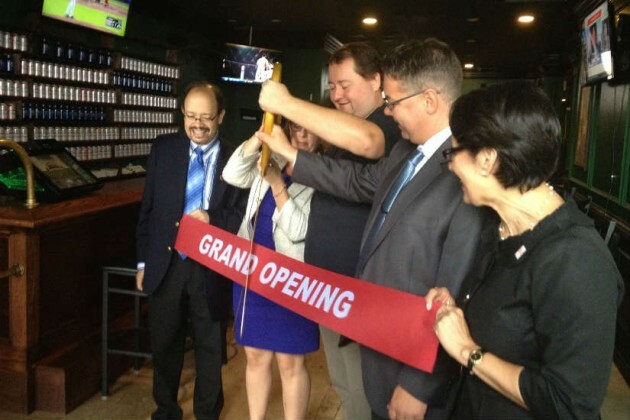 Councilmember Brianne Nadeau of Ward 1 is set to discuss the District’s marijuana laws over half-price chicken wings at a bar near the U Street corridor tomorrow night. Nadeau is slated to speak at Duffy’s (2106 Vermont Ave. NW) about the cannabis statutes as well as her support for private pot clubs and her views on other D.C. issues, according to a Meetup event post. The councilmember sits on the Marijuana Private Club Task Force, which the D.C. Council created earlier this year to study the possibility of licensing places where people can legally consume weed. The panel currently is working on a report with recommendations. Although growing and using cannabis on private property is legal in the District under D.C. law, federal law still prohibits pot possession and consumption. 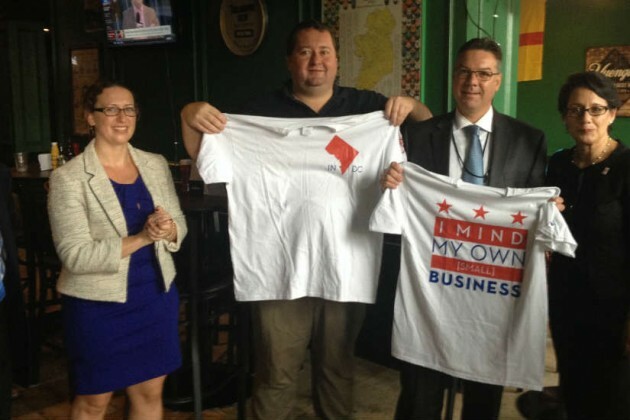 Tom Fazzini, a spokesman for Nadeau, said the councilmember will highlight how the District’s conflict with the federal government over marijuana policy is one reason why the push for D.C. statehood is important. “Congress has made it clear it doesn’t respect the will of D.C. voters when it comes to cannabis,” Fazzini said in an email. Seating for the discussion is limited, according to an email from Duffy’s. Locals interested in attending it are encouraged to RSVP online. The talk is scheduled to begin at 7 p.m. Wednesday. 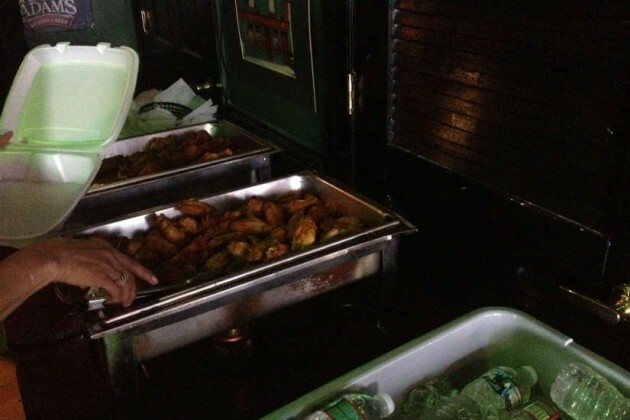 But Duffy’s half-off wing special runs all night. (Correction: This article originally stated that a crime meeting would take place Friday, June 24. The meeting will actually take place on Friday, July 22. We’ve corrected the article.) 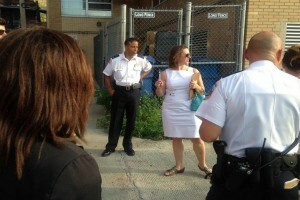 Ward 1 D.C. Councilmember Brianne Nadeau is speaking out about several recent violent crimes in Columbia Heights. 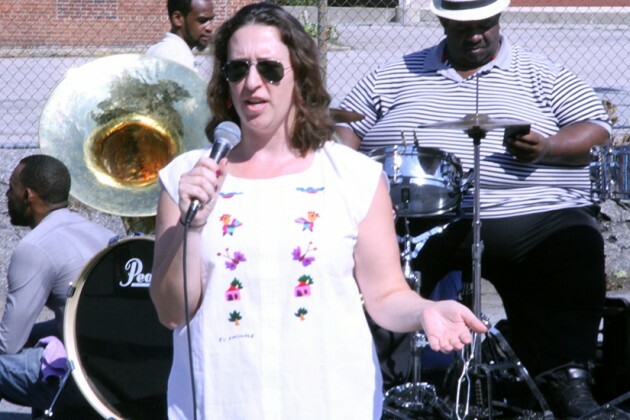 The Councilmember penned a statement to her constituents yesterday addressing several violent crimes in the area, including the shooting death of a man on 14th Street and a separate shooting nearby that injured two men later that day. Nadeau also addressed the recent incident where a police officer was assaulted at the Columbia Heights Metro. Nadeau will meet with locals next Monday from 6-8 p.m. at Calabash Tea and Tonic (1847 7th St. NW) and Friday, July 22, from 8-10 a.m. at Tynan Coffee (1400 Irving St. NW) to discuss crime or other concerns. 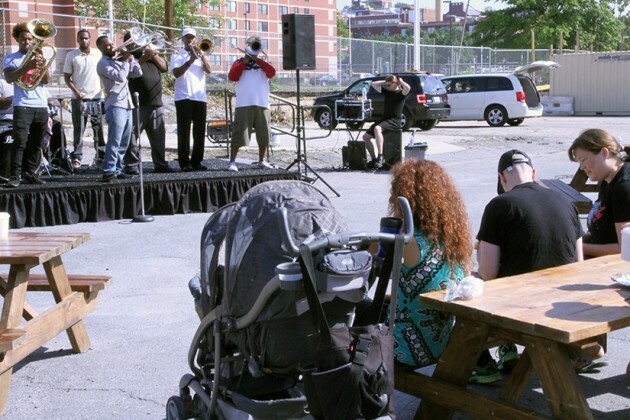 Dozens of community members flocked to the Duke Ellington School of the Arts this morning to sing, chant and wave signs across from members of the infamous Westboro Baptist Church. Locals taking advantage of the $1-per-day-parking at the DC USA retail development are getting more time to move their cars before the deal ends, Councilmember Brianne Nadeau of Ward 1 announced today. 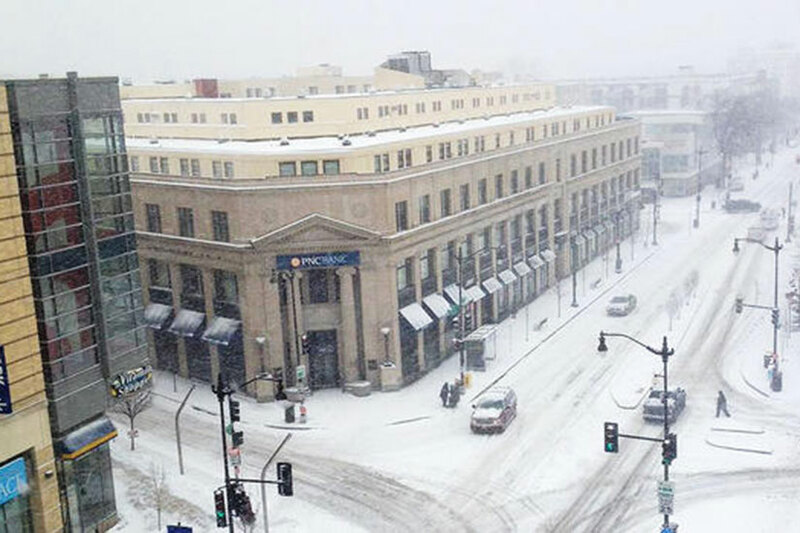 The special parking arrangement for Columbia Heights residents went into effect Friday morning, when the District’s snow emergency started. The deal was set to end at 8:30 p.m. today, two hours after the emergency is scheduled to conclude. But now locals with cars at DC USA won’t have to begin paying the complex’s standard parking fees until after 10 p.m. tomorrow. The DC USA retail development will have $1-per-day parking available to locals during the snow emergency that starts this morning. From 9:30 a.m. until two hours after the emergency ends, Columbia Heights residents can take advantage of the deal. The garage has 1,000 parking spaces. During the emergency, locals can’t leave their cars on Georgia Avenue, 16th Street and U Street, as well as sections of Park Road, Kenyon Street, Irving Street, Columbia Road, Harvard Street, Florida Avenue and 9th Street. If they do, they could get fined and towed. 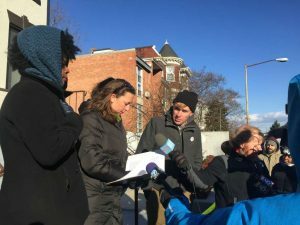 Victims of catcalls and other street harassment in the District are slated to have the opportunity tomorrow to tell the D.C. Council what they’ve endured in their neighborhoods. 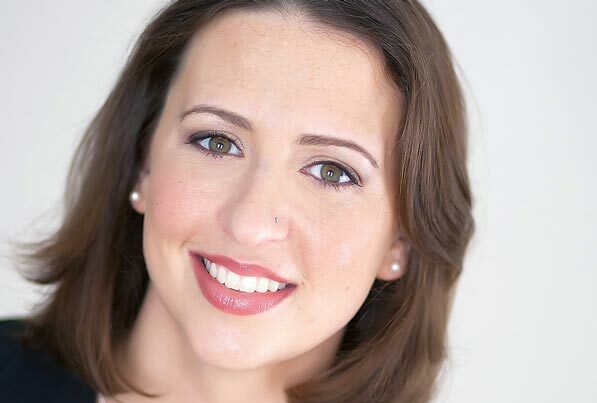 Councilmember Brianne Nadeau of Ward 1 is looking for locals who can share their street harassment stories publicly in the John A. Wilson Building (1350 Pennsylvania Ave. NW) at 10 a.m. on Thursday. D.C. residents interested in participating in the Council hearing should call or email Judiciary Committee director Kate Mitchell as soon as possible. 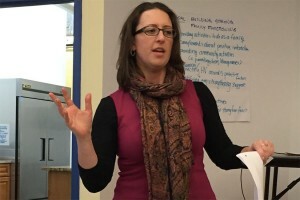 Many locals have faced street harassment, including “vulgar remarks, heckling, insults, innuendo, stalking, leering, fondling, indecent exposure, and other forms of public humiliation, often focused on the individual’s perceived gender, gender identity, race or ethnicity, or disability,” Nadeau wrote on her website. The hearing will stream live online. Locals who live near the 14th Street corridor are set to have a chance tonight to ask police and some of their elected representatives about crime in the area. Councilmember Brianne Nadeau of Ward 1 is scheduled to host a public safety meeting from 7 to 8 p.m. in the Reeves Municipal Center at 2000 14th St. NW, according to a Facebook post. 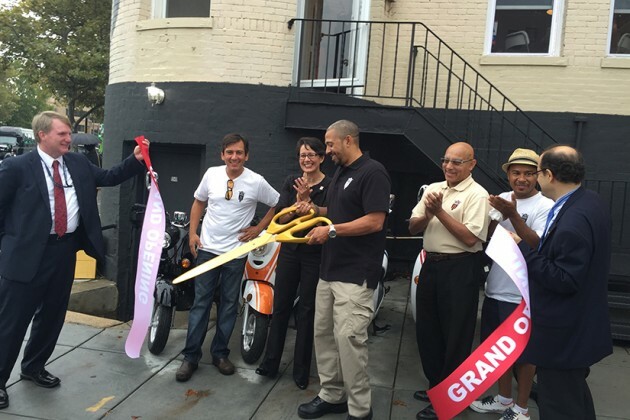 Nadeau, as well as local cops and ANC commissioners, are expected to participate. The discussion will focus on crime near where 14th Street intersects with V and W streets. Last month, 29-year-old Delany Christopher Epps of Northeast D.C. was shot and killed in the area. 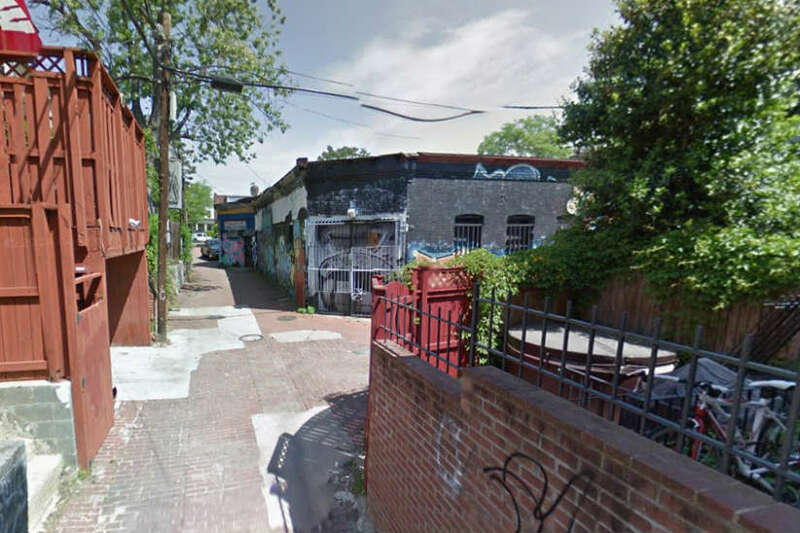 (Updated at 3:50 Friday) A Columbia Heights alleyway could soon be named in honor of a Pleasant Plains community leader and African-American trailblazer. 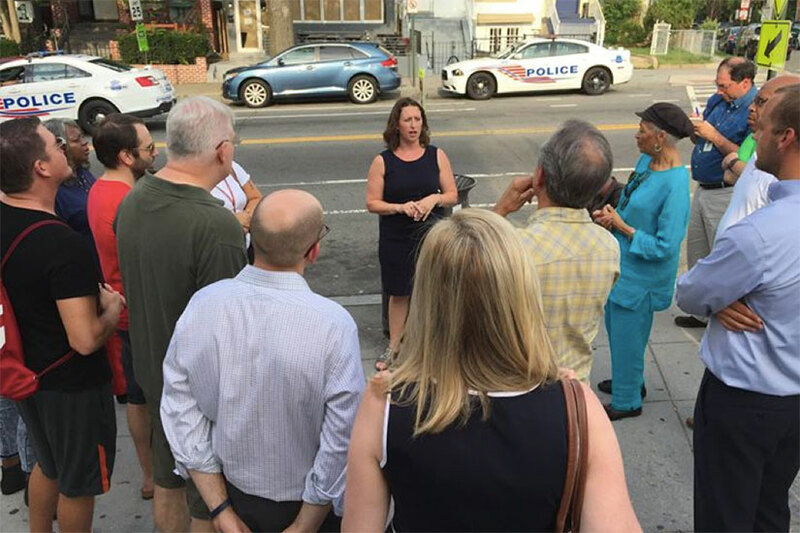 Ward 1 D.C. Councilmember Brianne Nadeau introduced a bill today that would designate the alley between Irving Street NW and Columbia Road NW and between and 11th Street NW and Sherman Avenue NW as Theodore “Ted” Williams Alley. According to a statement released today by Nadeau’s office, Williams, who lived in Pleasant Plains before his death in the 1960s, was the first African-American to work for the CDC and worked to promote integrated basketball and softball leagues in the District. 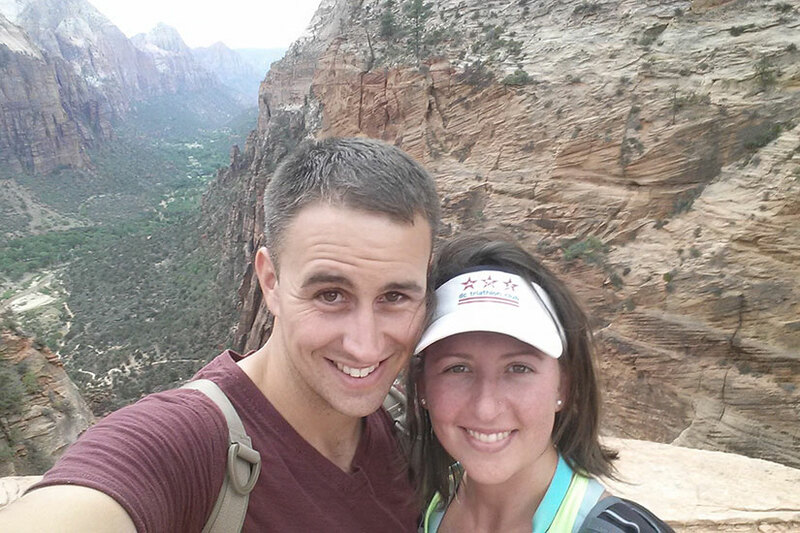 He and his family were also prominent community leaders in Pleasant Plains. Naming the alley would also allow developers to move forward with a proposal to turn an unused building that borders the alley into a three-lot, two-story building with condos, and art and office space. Development company Seven Five Three Development has sought to develop the building, which does not border a street, for several years. The alley needs to have an official name for the company to build a multi-unit building inside the block. Seven Five Three has agreed to provide alley lighting and additional traffic signs as part of its development plans, the press release reads. Ward 1 residents will be able to join D.C. Councilmember Brianne Nadeau on a public safety walk next Tuesday. The walk will last from 6 to 7:30 p.m. and begins at the CVS parking lot at the intersection of 7th Street and Florida Avenue NW. During the walk, residents will also have the chance to chat and address safety concerns with employees from the Metro Police Department, Department of Behavioral Health and Department of Consumer and Regulatory Affairs. This is one of several public safety walks that Nadeau has organized across Ward 1. Watch out, frequently absent ANC commissioners. D.C. Councilmember Brianne Nadeau today introduced a bill that would ax commissioners who miss meetings for three months in a row. “District residents and business leaders should not be penalized for poor attendance of their representatives,” Nadeau added from the dais. 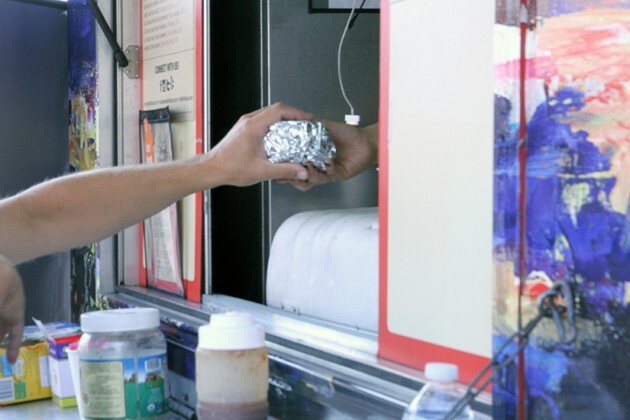 Final bill will make it easier for ANCs to do business. Commissioners can’t miss more than 3 meetings in a row. Bill requested by @ANC1A. As former ANC, I appreciate their hard work as volunteers. This bill will ensure they have quorum to do imp’t community business. I also want to commend the work of @ANC1A Chair @KentBoeseDC for his leadership on the ANC absenteeism bill I intro'd today. 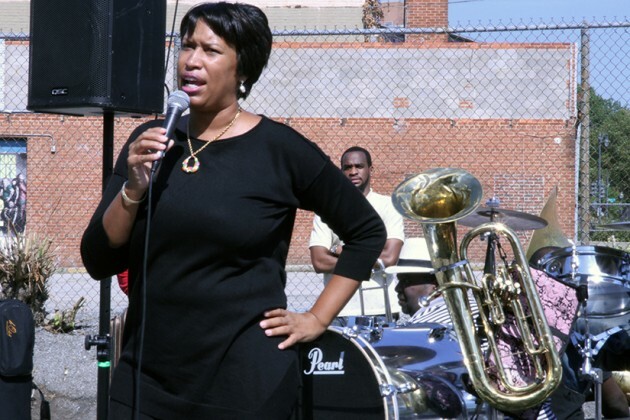 D.C. Mayor Muriel Bowser joined Ward 1 Councilmember Brianne Nadeau at an event on Saturday meant to drum up support for a planned mixed-use development near the 9:30 Club. Developers MRP Realty, Ellis Development and JBG Companies are set to begin construction on the building soon, provided that the D.C. Council gives its approval during a vote tomorrow. If constructed, the building would bring 106 affordable housing units, retail space and a new Whole Foods to a long-debated parcel of land just north of the U Street corridor at 965 Florida Avenue NW. 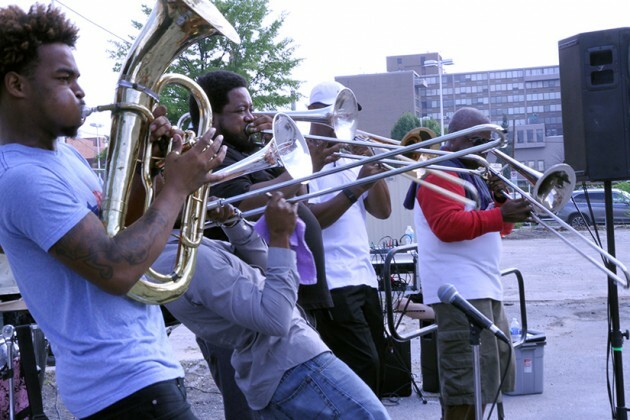 Dozens of local residents and several ANC 1B and 2F commissioners flocked to the empty lot before noon for free coffee, breakfast sandwiches from Whole Foods and tunes from local band Brass Connection. Nadeau took the microphone to voice support for the forthcoming development. Nadeau said that squabbling among councilmembers was to blame for the delay in approval. “The reason this deal hasn’t moved forward as quickly as we’ve wanted it to is not because of your mayor, it’s not because of your councilmember, it’s because of some other dissent on that council,” Nadeau said. 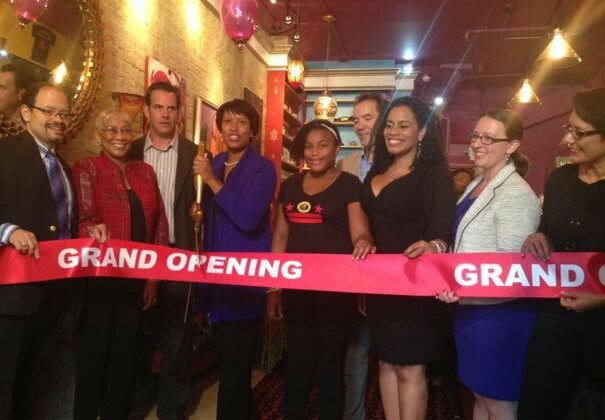 Mayor Bowser focused on the forthcoming development’s affordable housing units in her speech.